BizReport : Research Library : GetWellNetwork, Inc. Both the quality of care and a patient’s view of it can hinge on their exchanges with the nursing staff. Interactive patient whiteboards give hospitals a powerful tool that will enhance how patients communicate with your nursing staff. 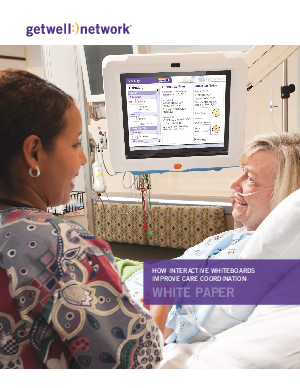 Download this whitepaper to see how you can increase patient satisfaction by enhancing communication and in turn increase the efficiency of your nursing staff.